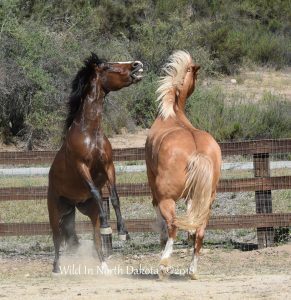 In any herd of horses, there is always a social order in place with horses ranked in the group. This is even true in a domestic setting so understanding this can be very helpful in maintaining a nice balance in your herd. 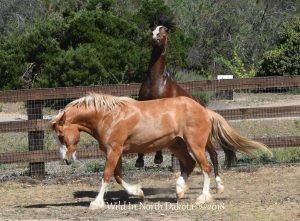 Here on our ranch, our Quarter Horse Mac is number one followed by wild Charlie who is number two. 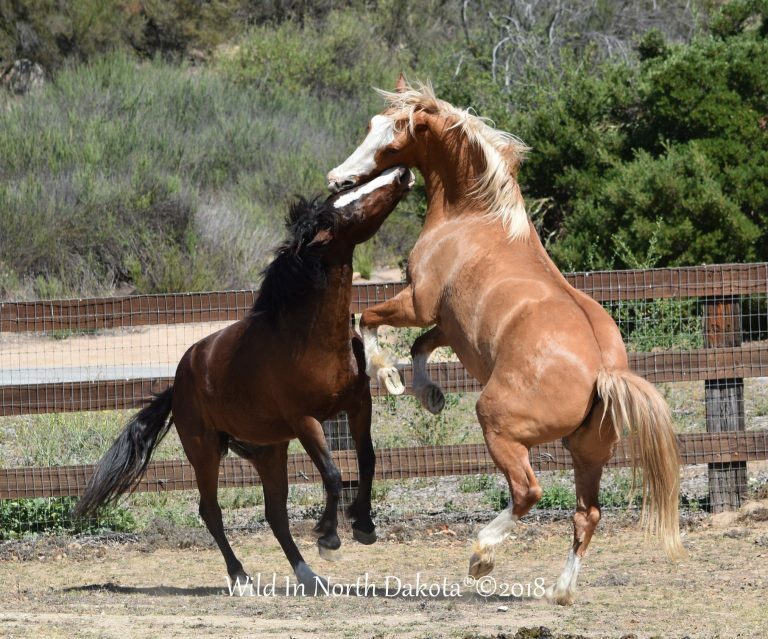 Chip has held the 3rd position for quite some time now but with the addition of 2015 Colt Warrior to our ranch, I knew that the number 3 spot would be challenged so because of that, I have not let Chip and Warrior play together until yesterday. As you can see in the photos, Chip is a big boy! Warrior is still a squirt but has now put on enough weight that I figured it was time to let these two have time together to sort out the pecking order. What a ball they had! 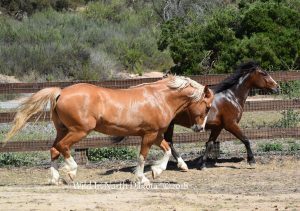 Warrior was actually the aggressor and Chip was a really good boy being the gentle giant that he is! These boys play rough so you have to be ready for it and set them up as safe as they can be. I was present the entire time and if it got too rough, I spoke up and they listened to me every time and settled down. This is an exciting dynamic for Warrior now as Mac and Charlie really don’t play with him, but Chip will. So, here is another great example of life for these horses after being removed from the wild. They are all happy, well adjusted horses and remain the joy of our every day! And as you can see in the photos, there is truly never a dull moment around here! Enjoy! 2015 Warrior and 2009 Chip playing together for the first time! Warrior trying to prove to Chip what a big boy he is! Here you can really see the difference in size between them. Warrior is getting bigger but still pales in comparison to the massive Chip!